Today, meet our editorial intern, Madeline Kopiecki! I was first introduced to Lerner during my high school May term project. I was struck by the welcoming environment and passion everyone had for their work (and the shelves and shelves of books!). I’m currently a sophomore at Hamline University in St. Paul, studying English with a focus in creative writing as well as Spanish. My goal for the future is to go into the publishing industry so it’s been really incredible to get an up-close look at what that will possibly entail. 2. Describe a day in the life of an editorial intern. I start every day by opening my email to look at my on-going list of projects. Often I’m reading through manuscripts to generate style sheets or indices, or to fact-check, but there have been a couple of field trips to the Minneapolis Central Library for research as well. Right now I’m reading kind of a strange mix. Anna Karenina by Leo Tostoy; Fire in the Belly: The Life and Times of David Wojnarowicz by Cynthia Carr; Naked Lunch by William S. Burroughs; and The Scar Boys by Len Vlahos. Usually I wander through used bookstores (most recently Half Price Books and Magers & Quinn) to find novels with first pages that catch my eye. I also poll my friends to see what they’ve enjoyed recently. 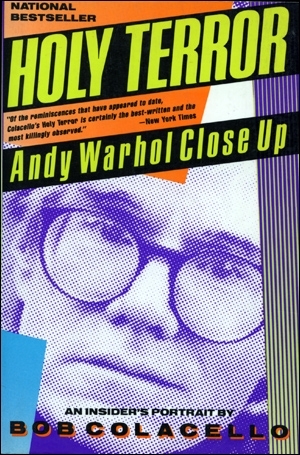 Holy Terror: Andy Warhol Close Up by Bob Colacello. This book changed my entire perception of biography. Colacello’s frank rendering of Warhol strips away the enigmatic and instead depicts the human being behind Warhol’s façade of blasé weirdo. The Wind-Up Bird Chronicle by Haruki Murakami. I’ve learned so much from Murakami’s writing style, from the value of realism in fiction to the use of the surrealism to enhance the conventional. After all, fact is stranger than fiction. A Moveable Feast by Ernest Hemmingway (although to be fair The Paris Wife by Paula McLain was the impetus for my obsession with the Lost Generation). I found Hemingway’s distinctively stark prose surprising in its complexity. His first-hand account of the expatriate movement in Paris made me geek out a bit. 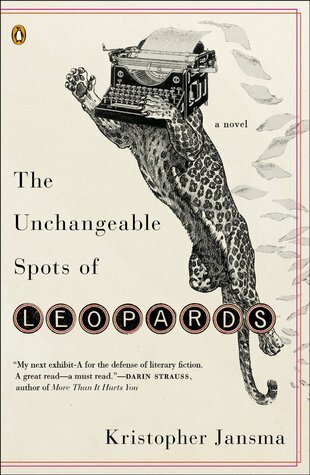 The Unchangeable Spots of Leopards by Kristopher Jansma. This novel’s exploration of unreliable narrators caused me to reevaluate aspects of story-telling I had previously taken for granted. I also loved how Jansma layered stories within stories. The God of Small Things by Arundhati Roy. Roy’s striking imagery in this novel has stayed with me even now, years after reading it. I admire authors—all creators, really—who have the skill to articulate their own unique perspective. I love that spark of connection when someone captures something I previously didn’t have words for, regardless of medium. I’d like to dedicate a serious chunk of time to bumming around Europe. My list is constantly evolving but currently I’d say the UK, Spain, France, Luxemburg, the Netherlands, and Germany.